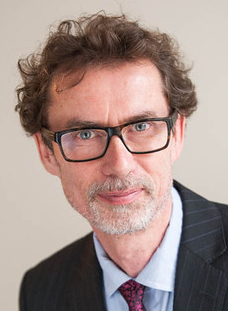 Dr. Tomas Paus, Director of Population Neuroscience and Developmental Neuroimaging Program at Holland Blooview Hospital joins eHealth Radio and the Children's Health & Health News Channels to discuss life-changing research findings that will impact the lives of kids, youth, and families across the globe. Holland Bloorview is known to be a global player in kids rehabilitation. Tell us more about that and how the hospital is leading the way in “big data” as part of health care. Talk to us about your upcoming research and the latest study you are conducting. When you say for the first time this type of research is being conducted, why do you feel this research is critical to the advancement of healthy brain development in individuals with or without a disability? 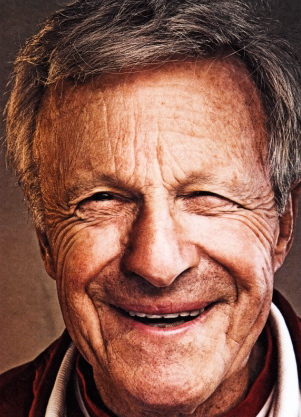 You coined the term “population neuroscience”. Tell us what that means exactly. How long do you believe the study will take and what do you hope to achieve from the research findings. How will your research remove boundaries faced by individuals growing up with disabilities? How will Holland Bloorview leverage the research innovations to develop market-ready products to support kids with disabilities? What do you feel are the global implications of this study. How will this benefit US children as well? Dr. Tomas Paus, Director of Population Neuroscience and Developmental Neuroimaging Program, Holland Blooview Hospital is a distinguished senior scientist, and director of Population Neuroscience & Developmental Neuroimaging for Holland Bloorview’s research institute (the Bloorview Research Institute). This critical new role supports Holland Bloorview as the future home of Ontario’s first, fully-accessible child-friendly research MRI and further establishes itself as a premier international center for the study of child and youth brains. The Bloorview Research Institute is the research arm of Holland Bloorview, an academic health science center fully affiliated with the University of Toronto. Stroke awareness advocate La’Wana Harris joins eHealth Radio & the Health News Channel to talk about strokes and who should be concerned. May is National Stroke Awareness Month, is this something young, healthy adults need to worry about? Tell us a bit about your story? What are early warnings signs of a stroke? From all you have learned & from your experience, who is a risk? Tell us more about your book & how can listeners purchase your book? 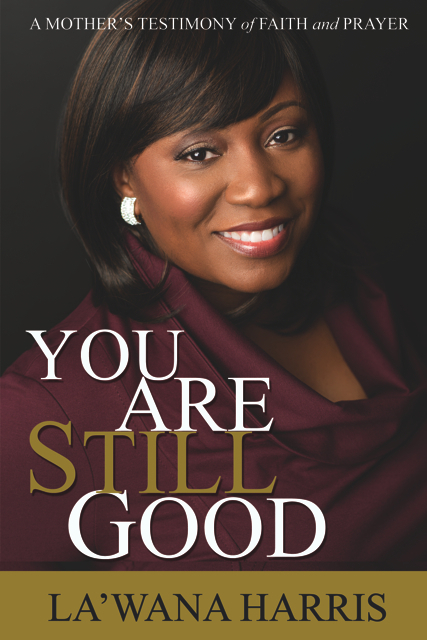 La’Wana Harris is the author of YOU ARE STILL GOOD, a novella that details her story as a mother of a stroke survivor. Through the book she hopes to give encouragement, and inspiration for those finding themselves in a crisis situation. Neurologist Dr. Harry Kerasidis, M.D. who specializes in sports concussion management with 25 years experience, studying brain trauma and having thousands of athletes using his protocol joins eHealth Radio and the Neurology and Brain Health Channels. He wrote his new book “Concussion-ology” to help preserve the game, while protecting the athletes. We hear about concussions all the time especially within the NFL, what exactly is a concussion? What are keys to your concussion protocols, designed for all sports levels? What are the most basic tips for sports concussion management? How can equipment help with sports concussions? Maryland-based Harry Kerasidis, M.D., known as "The Brain Doctor,” is one of only a few neurologists in the world specializing in sports concussions. He co-founded XLNTbrain LLC after 25 years studying the the brain and having thousands of athletes follow his concussion protocol. Dr. Kerasidis contributes regularly to PsychologyToday.com, Athletic Business magazine, NeurologyAdvisor.com, NeurologyTimes.com, and Dr. Oz's sharecare.com. His new book, “Concussionology: Redefining Sports Concussion Management For All Levels” published September 2015, Author House. Dr. Kerasidis is also the Founder of Chesapeake Neurology Associates in Maryland. He also serves as the Medical Director for the Center for Neuroscience, Sleep Disorders Center and Stroke Center at Calvert Memorial Hospital. His particular niche of study is the changes of the electrophysiology in the brain as it relates to behavior, cognitive function and emotional function resulting from various brain trauma, including concussions. His patients include athletes, as well as other patients with a variety of cognitive and behavioral disorders including memory loss, sleep deprivation, ADD, dementia, Alzheimer's, and traumatic brain injury. A graduate of Georgetown University School of Medicine, Dr. Kerasidis completed his residency in Neurology and Fellowship in Clinical Neurophysiology at the Georgetown University Hospital. Dr. Kerasidis is certified by the American Board of Psychiatry and Neurology, American Board of Sleep Medicine, Biofeedback International Certification Alliance, a Diplomat for the National Board of Medical Examiners and member of the International Society of Neuronal Regulation. 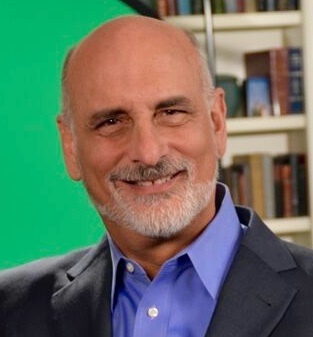 Richard L. Burns, Author of "Live Or Die: A Stroke of Good Luck" & Spokesperson for Stroke Awareness & Recovery in regards to his advocacy and National Stroke Awareness joins eHealth Radio and the Health and News Channels. What does National Stroke Awareness Month mean to you? How has medical treatment progressed for stroke survivors, since your Cerebral Hemorrhage 47 years ago? Do you think science is moving in the right direction and that adult stem cell research & medicine can help stroke survivors in the future? You became a spokesperson for stroke awareness and recovery and have talked to many survivor groups. What is the first step for a stroke survivor looking for support? Can you share a couple of your recovery techniques? Your memoir "Live Or Die: A Stroke of Good Luck" has been called a "handbook of hope." What advice do you give to people, who have suffered a stroke or major illness? Richard L. Burns is a retired television and advertising executive (a real-life "Mad Man"), who put the smile on the PSA Airplanes and helped engineer a cultural icon- the Fruit of the Loom models. He is an authority on retail, accountable and measurable advertising, and developed the first viable system of local television advertising and sales for national advertisers. Burns was a management consultant, promulgated fund-raising for non-profits and conceived and produced a successful international educational children's TV series called "With It." At 38, Richard was struck down with a cerebral hemorrhage and declared dead at 38 years old. Richard miraculously regained consciousness and was given a second chance at life. He became a spokesperson for stroke awareness and recovery and wrote and published his memoir, "Live Or Die: A Stroke of Good Luck", which he calls "a handbook of hope." 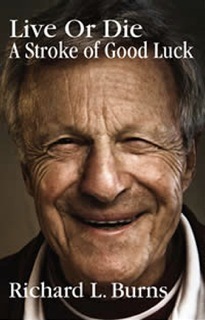 The book is a wise and witty story of his long and slow recovery and resurrection in his own words. It chronicles life after stroke and offers readers advice on how to come out victorious, after suffering a major illness. It is also about what he learned from the ordeal and how his life and values changed with each step he took to heal himself. Richard is responsible for the rescue of animals in national disasters. He is the recipient of numerous professional and service awards, and is a graduate of Stanford University. 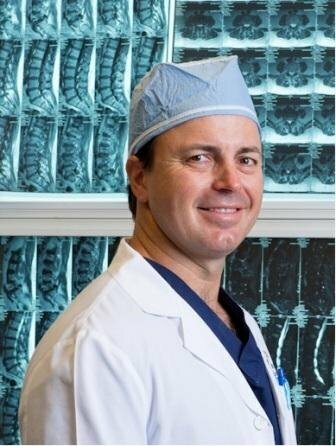 Dr. Randall Porter, Neurosurgeon with Barrow Neurological Institute and Founder of The Medical Memory, a tablet-based service for video recording doctor-patient consultations joins eHealth Radio and the Neurology and Brain Health Channels. Dr. Porter, you are a neurosurgeon based in Phoenix, Arizona and we are discussing a product you developed ----The Medical Memory. Apparently patients often fail to understand, misinterpret or forget what was communicated during a doctor’s appointment. Are there specific reasons for this? So you developed The Medical Memory as a means to recall the conversation and diagnosis in a medical appointment. Please explain how The Medical Memory works and the benefit. Is The Medical Memory useful for patients and physicians in ALL medical appointments? Has there been a concern about doctor-patient confidentiality with The Medical Memory? You are currently utilizing The Medical Memory at Barrow Neurological Institute and a couple of other medical facilities. Are you having success introducing The Medical Memory across the country? A tablet-based service, The Medical Memory by ClarIT-MD™, utilizes a video camera positioned in the examining room to record discussions, imaging, and demonstrations ensuring that the shared information is commemorated for personal recall as well as sharable with family and loved ones. For those patients who choose to utilize The Medical Memory service, a small video camera in the examination room records the session with the doctor including imagery and demonstrations. After the visit, the patient receives an e-mail with a link to a secure webpage containing the videos that can be viewed from any device with internet capability. The patient can then review the session and if desired, share with family members through the provided link. In 2008, local neurosurgeon with Barrow Neurological Institute, Dr. Randall Porter, started conception on The Medical Memory. Although he knew his patients were intently listening to the information he was providing, he knew that many were not comprehending all the facts during an initial visit and that surprisingly two people in the examining room will not decipher the information in the same manner. This is particularly true in situations in which the information imparted is of a very serious nature and perhaps life threatening. Dr. Porter was intent on creating a state-of-the-art product that also upholds the doctor-patient confidentiality relationship. Dr. Randall W. Porter is a neurosurgeon practicing with Barrow Neurological Institute in Phoenix, Arizona. He is Director of the Interdisciplinary Skull Base Program; Co-Director of CyberKnife; and Co-Director of the Acoustic Neuroma Center. Dr. Porter grew up in a suburb of Chicago - Barrington, Illinois. He graduated from Southern Methodist University in Dallas, Texas and completed his medical studies at Rush Medical College in Chicago. He was a member and president of Alpha Omega Alpha, the medical school honor society. Dr. Porter is the associate editor of Skull Base Surgery, and has been invited to review numerous articles for the scientific literature. He has published over 50 peer reviewed papers and over 20 chapters in major medical textbooks, and has spoken at more than 100 professional meetings. He was named a Top Doc by his peers in Phoenix Magazine in June 2007 and was selected by the BNI residents as Teacher of the Year in 2005. Performed the first auditory brainstem implant in the state of Arizona. Dr. Porter is a family man who enjoys biblical studies. He is a member of the Moon Valley Bible Church. For leisure Dr. Porter is an avid golfer and likes to attend his children’s activities, such as Little League baseball games and dance competitions. He has 3 children, and a beautiful wife from Dallas, Texas. Dr. Harry Kerasidis, M.D., known as "The Brain Doctor,” who is one of only a few elite neurologists in the world specializing in the impairment of cognitive and emotional performance resulting from brain trauma and concussions joins eHealth Radio and the Neurology and Brain Health Channels. We hear about concussions all the time, what exactly is a concussion? How did you become interested in studying concussions? How do you feel today’s sports world is handling concussion management? What have you created to protect, detect and prevent concussions in sports? Tell us how to learn more about xlntbrain.com, how to get started, and briefly about your new book coming out in January? 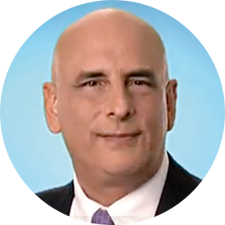 Cognitive neurologist Harry Kerasidis, M.D. 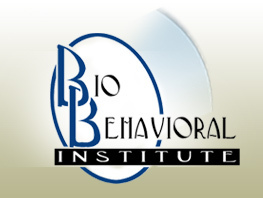 has a distinguished career helping the public, scholars and medical professionals understand the link between the physiology of the brain and behavior. He is the Founder of Chesapeake Neurology Associates in Maryland and XLNTbrain LLC. He also serves as the Medical Director for the Center for Neuroscience, Sleep Disorders Center and Stroke Center at Calvert Memorial Hospital. For more than 25 years, Dr. Kerasidis has studied changes of the electrophysiology of the brain as it relates to behavior, cognitive function and emotional function resulting from various brain trauma, including concussions. He has treated hundreds of concussion injuries in his practice, as well as patients with a variety of cognitive and behavioral disorders including memory loss, sleep deprivation, ADD, dementia, Alzheimer's, and traumatic brain injury. Jeri Donovan a brain tumor survivor and the founder of Well Traveled, one of the few wellness travel agencies in the US joins eHealth Radio and the Cancer Information and Health News Channels. How were you diagnosed with a brain tumor? What are the challenges of living with a brain tumor? What are some of the challenges of working with the medical professionals? Why are second opinions so important, give some examples from your experience? Talk about the importance of being your own best advocate, examples of the what that might look like? Share with us a brief wellness travel update? Jeri Donovan is the founder of Well Traveled, a boutique wellness travel agency that specializes in active adventure travel, spa destinations, yoga retreats, fitness vacations and wellness cruises. She offers wellness vacations for groups, solo travelers and couples. Planning wellness travel truly suits Jeri's soul and combined her insatiable passion for travel with her personal commitment to wellness for herself and for her clients. In 2011, Jeri was diagnosed with a skull base brain tumor (mere months after completing a century bike ride). Long story short; most of the tumor adjacent to her brain stem was safely removed. However, Jeri’s recovery required lifestyle adjustments, both personally and professionally. Jeri began to embrace different activities that suited her post surgery life. Yoga was at the top of the list. Long walks and hikes replaced running. And, in lieu of mountain biking, more miles covered by her road bike continued to create a Zen sort of experience. Leaving her beloved teaching profession also became a post brain surgery necessity as single-sided deafness was one of the repercussion of the surgery that saved her life and left her sound sensitive. Having long hindered a secret desire to work in the travel industry, Jeri switched gears. 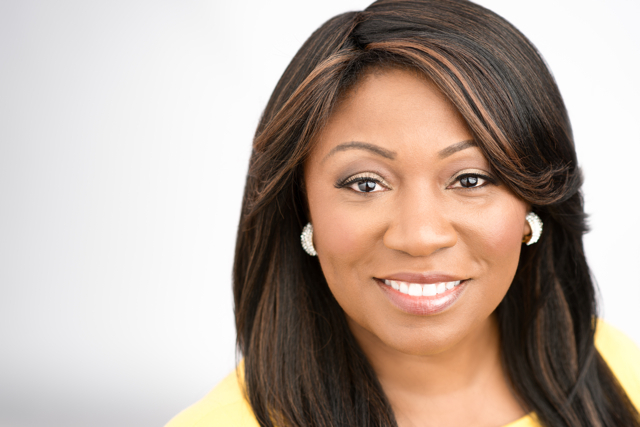 She immediately sought specialized training and became the very first travel professional to complete the Travel Institute’s Well-Being Travel Specialist certification program. 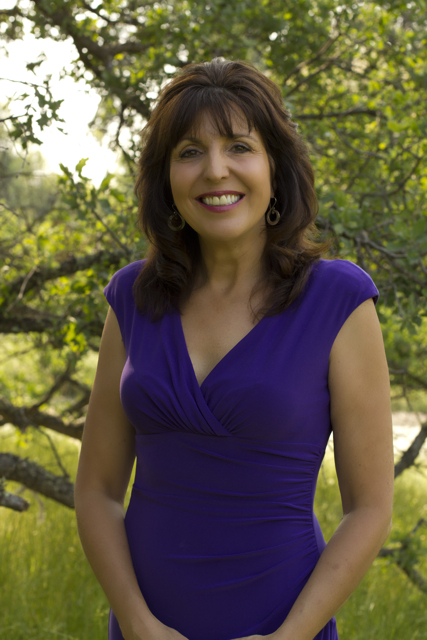 In addition to operating Well Traveled, Jeri is also committed to sharing the benefits of wellness travel and gives presentations to corporations, organizations and travel industry events. Andrew Bloom, the author of both "A Bleeding Brain" & "After a Bleeding Brain" once again joins eHealth Radio and the Health News Channel. After a Bleeding Brain: Life Goes On is Andrew's remarkable, ongoing journey toward health and self-discovery. How is the second book, after a bleeding brain different than the first book, a bleeding brain? What has happened since we last spoke almost two years ago? Do you think there will be a third book? Do you still keep in touch with your surgeons and advances in the medical field? 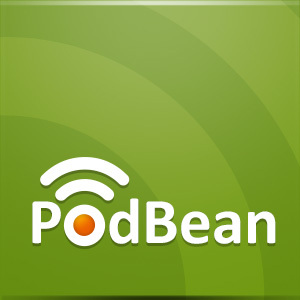 How can a listener get in touch with you? Andrew S. Bloom was born in Great Neck, New York, to Sharon and Arnold Bloom. 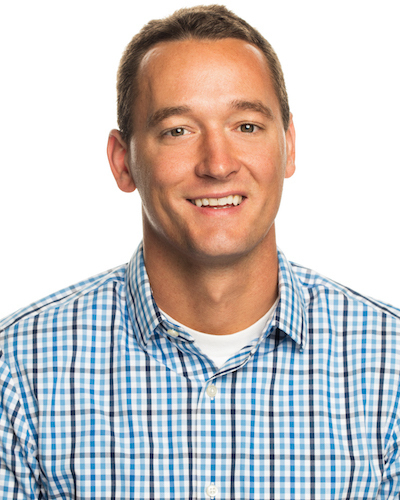 Andrew grew up in Plainview, New York, and moved to Florida shortly after graduating from Adelphi University in Garden City, New York, in 1992. He has suffered three brainstem bleeds as a result of a birth defect which resulted in his undergoing intensive rehabilitation on four separate occasions. He has also undergone brain surgery in an attempt to correct the underlying problem. Through all this, he has maintained a positive attitude. 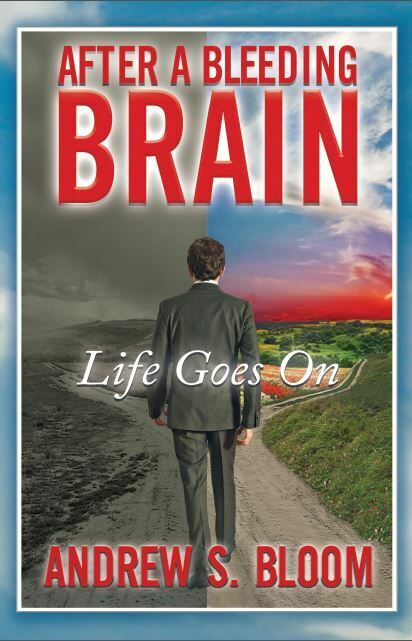 His first book, A Bleeding Brain, released by Brighton Publishing in 2012, is an inspiring and amazing true story that has captured the hearts of many readers, and received much acclaim in the literary world. He resides in West Palm Beach, Florida, with his wife, Caroline; son, Ryan; daughter, Samantha; and their dog, Oreo. Dr. Santos who practices at the BioBehavioral Institute where she specializes in the treatment of anxiety disorders such as OCD and serves as the school mental health liaison joins eHealth Radio and the Mental Health Information Channel. What’s the most common problem you see as a therapist as a cause of unstable mental state? What are some of the general symptoms of anxiety? OCD? What is the treatment for OCD? What are some strategies to manage general, day to day anxiety? Dr. Santos practices at the BioBehavioral Institute where she specializes in the treatment of anxiety disorders such as OCD and serves as the school mental health liaison. As a certified bilingual school psychologist and school advocate, she has extensive experience working with children with school anxiety, separation anxiety, OCD, and panic disorder. 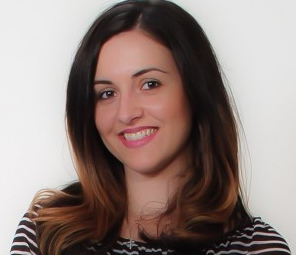 Her work has been featured in publications such as the Queens Family Magazine and Long Island Parent. Dr. Santos also loves to mentor and teach undergraduate students and is an Adjunct Assistant Professor at Suffolk County Community College.